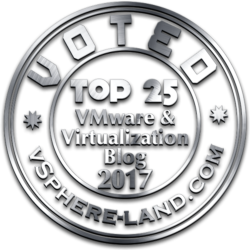 Last week I’ve taken the official VCAP5-DCD, to remediate the failure of the VCAP5-DCD beta and try to gain this certification. 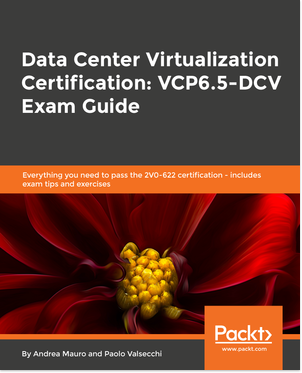 The exam is really huge: The VDCD510 exam contains 100 questions (in the beta 131). The total time for this exam is 225 minutes (same of the beta). Candidates who take the VDCD510 exam in a country where English is not a primary language will have an additional 30 minutes added to the exam time. This time extension is automatic, no additional action is required from the candidate. There were jsut a few questions with a single answers (from 4-5 options), and the options were quite similar (so also those questions were not too easy). Bust most of the questions were a mixture of multiple-choice (with more answers) and drag-and-drop items. The “visio” questions (design items using an in-exam design tool) were more than one (in my case I think to remember 5) and require several time, to read the text and also to use the tool (I still hope an improvement at least in the connectors stencil to have a sticky function or keep selected). Most of the comments of my experience with VCAP5-DCD beta exam remain the same also for the official exam. Some sentences need to be more simple and clear to avoid unnecessary complexity for non English people. This time the text was visible and in a single window (in most cases, except the exhibit window)… but probably also may depend by the new monitor in the testing center (thanks God not CRT!). Remember that the blueprint is just a track… follow all the links and the documentation. 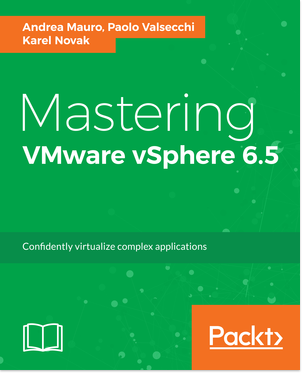 Same for the Design Workshop course… could be not enough (although I don’t know how is the v5 edition)… There are al lot of design aspects (of course), ITIL, business continuity, security, networking… and not only related to vSphere! Finally I’ve passed this exam (the second one was good)… but with a big risk… during the review (this this I’ve completed the review by watching all the marked questions) I’ve notice that the “visio” were all empty and I had to re-build all the design… Maybe was a bug of the review, or the mark feature, or the testing center, or the exam kit (I’ve got not enough time to verify the root cause)… But I suggest to avoid to mark a “visio” for the review (unless your plan is just to make the design later). Now I had to wait for the official transcript, but this certification may define also the VCDX5 one (according with the announced VCDX5 upgrade path).